Fiction and Other Realities is the story of Bobby Choy, a 20-something Korean American residing in New York City who feels like a stranger in the country in which he was born. After his father’s death, he starts writing sad songs but does not perform them very often. Mostly, he sings softly in his bathtub. Because of the thin walls of his apartment, his friend Billy—lead singer of the band Paper Kings—hears him and offers him a job as a roadie for the band’s upcoming tour, which includes a stop in Seoul. At first Bobby is hesitant, as he would be away from the only society he truly knows. But after mulling over the pros and cons, he decides to seize the opportunity to learn about his parents’ homeland. There he meets Ina, a young graduate student who performs for fun. 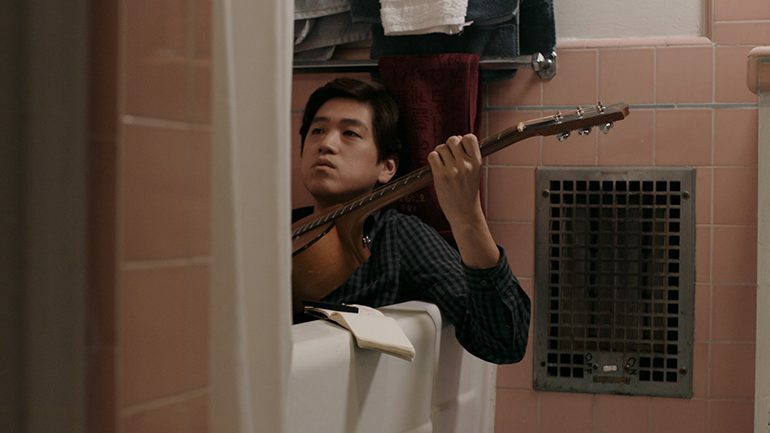 Bobby Choy is expected in attendance for a post-film Q&A and will be performing during the Musical Showcase to follow.